It really does feel like you’re constantly performing a juggling act when you are married. Then both you and your spouse have careers, add to that a child or a couple children into the mix and often times it seems like no one understands your challenges except you. This is a selfish dilemma which can sometimes be rewarding and other times it can be damaging. Here are a few solutions from someone who has been there, done that, and is doing just that. Take this advice where you need it most and know that you are not alone in your challenges. Part of the juggling act is that you didn’t get to that point suddenly. It might feel like you did, but it took time, planning, sometimes careful and sometimes not careful decisions, whether they were poor ones or not, you’re responsible for making them. You may not have planned on juggling so many things at once and you really don’t even have a problem with it. That is, until all of the sudden, one of the too many things up in the air is harder to juggle, slips out of your control, which has the domino effect and you start to feel as though you’re losing control. Typically, people move down a career path, then decide things are going well enough to handle adding a spouse to the mix. Then sometimes as they get bored with just being married and working, the next logical phase or decision to move ahead with is to is have children. Soon thereafter is when you have turned into the planner of many things, the juggler of many things, but unsure of what will you will drop or what will hit you next. Who takes the day off when the kids are sick? When the sitter calls off? How do you explain to your family that you have a silly business trip to attend, rather than an important event at home? Or how do you tell the boss you have an important event at home instead of being able to attend a silly business trip? How do you explain to your spouse and/or children that coming home late from work isn’t your idea, that it’s part of your job? Or how do you explain to the boss that you need to be home for your family rather than staying late at work? One thing I have always been told and strongly suggest, is to constantly communicate with your spouse before and whenever these obstacles come up. You’ll need to decide whose job is most important at that moment. Keep in mind this can and does change. You should have a priority list; what events are non-negotiable in your careers, with your children, and with each other. Write them down. As some factors change (and they will), you can always look at the non-negotiable items and decide if they need to move out of that category and into another one, and so on and so forth. For example, my husband and I decided we would not send our kids to an outside childcare center just because we both wanted our own careers. (I realize that most families need two working parents in order to make ends meet.) Back to our rule…We both want to and need to have our own careers in order to live the life we desire for our family. This is the one rule that has stayed true for us and because of this decision we’ve made, there’s many sacrifices we’ve made along the way. Keep in mind that the sacrifices you make should not affect your coworkers at any time (more on that later). The sacrifices you make, should affect only you and your family. When we decided not to go with outside childcare, we did everything we could to make our decision work for us. We worked opposite shifts which meant not seeing each other at all, to bringing in outside help. We also had to decide who was going to fill in when our help called off. With no family nearby, we didn’t have the luxury to rely on mom, dad or sis to fill in. So, we had to get creative while sticking to our non-negotiable; my career could not be jeopardized in the process. Again, it’s all about putting your priorities in the correct order. You can’t say you never want to send the kids out of the home, but at the same time be say willing to sacrifice the persons job that is considered most important anytime an emergency comes up. You’ve got to be flexible with when prioritizing, but committed once you prioritize. Have a backup plan for when emergencies come up and anticipate anything and everything. Know who can pick your kids up from school when needed, and who you can call if your regular childcare falls through. Sure, this takes time, effort and regular maintenance, but it’s imperative that it get done before an emergency happens. Network with other working parents. This is a great way to set yourself up with several options and plenty of resources. And, keep in mind that just as your co-workers are not responsible for the decisions you make, neither are your children. In making the decision of whose job comes first, it can be easy to fall into the trap of competing with one other on whose job is harder, who works longer hours, who is more stressed out, etc. These are feelings and factors that come along with your job. They really don’t determine that one person’s career is more important than the other. The real things that determine whose job should come first are salary, growth potential, industry, and benefits, such as the 401k option, health plan benefits, etc. The things that do not determine whose career is more important are the superficial things like location, friendliness of co-workers, you like the holiday party, etc. And, both you and your spouse should be on the same page in this decision with mutual agreed upon input. You need to communicate with each other regularly and make sure you you check in with one another periodically to know that you’re on the right track with one another. Since you are not single anymore, decisions aren’t made as though you are anymore. You have to consider all factors and all parties involved at all times when making decisions. Welcome to the Grown-up world! Remember, you made the decision to become a spouse, a parent and an employee, so keep all of this in mind as you go about your life. Part of being a good juggler is being responsible, not taking unnecessary risks, and not doing something just to show off that may jeopardize where you are in the process of juggling. You may still have single friends, but you cannot act the way they do. Remember your priority list? Keep it in mind when you are presented with a challenge or what might seem like a tempting invitation. You’re also going to have to inform your family members and friends right from the start what you are trying to juggle, stating what you can or cannot fit in. If you have a demanding or needy parent or sibling, you need to decide with your spouse how they’re going to fit that into your priorities, and discuss if or when they will ever become a main priority. How do you keep your personal out of the workplace? As I said before, do not involve your coworkers in your personal dilemmas that you encounter while juggling your career and kids. Do not bring your problems to work, do not discuss or complain about all the stuff you have to do when you get home from work. It’s not their problem, they didn’t force you to work there and they don’t want to hear about it despite what they say. Personal conversations with your spouse and kids should be kept to your lunch break. If you need the kids to check in with you when they get off of the bus, have them ring your cell phone and check it at the appropriate time. If your child needs to be reprimanded for something, do it on your lunchtime or when you get home. Keep the struggles you have with your spouse to yourself. What happens when you are constantly complaining about your family and other issues with your co-workers? Typically, they begin to really resent those people, plus you are only shedding a negative light about yourself upon them. If you only ever talk about your spouse to others when you are having an argument, stop this! Your family deserves more respect than that. You may think that another person in a similar situation is on your side, but again, refrain from comparing stories in the workplace, especially in front of other co-workers. Trust me, you will form a clique that you do not want to be part of. I always view myself as a professional in the workplace and a parent when I am home. And so it goes the same way at home. Do not complain about your work at home and don’t only talk about your work when you have had a bad day. Your family will resent your job and the people with whom you work. Both situations are dangerous ones to get into. If you are asked to attend a function after work unexpectedly and you have a child’s game to attend, look back on that priority list. You and your spouse should have already discussed how to handle this situation when it comes up. It will save you a lot of lost time arguing and misunderstandings on all ends. If you cannot stay late at work or come in early, do what you can as often as you can. Whether it is coming in to the office before everyone else or being the last to leave. Volunteer to take a weekend shift, especially for one of your single coworkers who will hate having to work on a weekend. Work hard when you are on the job and don’t let personal issues interrupt your day. Consider yourself a good example to your juggling coworkers on how they should act when their juggling gets complicated. Can your spouse take care of everything that you can take care of? Are you able to do things you haven’t thought of doing? For example, keeping the house clean, laundry, lawn care, childcare, and paying the bills. This is not just one person’s job anymore. You are a team and in a double career household, both people have to do things they may not normally have had to do before or planned on doing. If you are suddenly thrown into this situation like most of us, remember the key to making it work is communication. My husband knows that I am a fanatic about how the house is kept, and that I will stay up all night if that is what it takes to have everything in it’s place before the next day begins. It’s not practical, but that’s how I am. He knows that when he is home with the kids, he can pitch in and keep the house clean so that when I do get home, we can spend time together as a family. This has to go both ways. I cannot walk in the door from a long stressful day and start harping on everyone to clean up their messes, not knowing how their day may have been. Back to that priority list! You need to decide things like who is going to keep the house clean, who is going to pay the bills (whose paycheck pays what bill), who is going to do the kids homework with them, etc. Again, these tasks can and will change, so be aware of what the other half of your team is doing and respect them for it. A simple thank you for doing the laundry goes a long, long way! As you get older, your kids will grow up, and as part of your juggling act, you need to make sure that includes helping them grow out. Getting your kids out of the house at some point should be everyone’s priority. 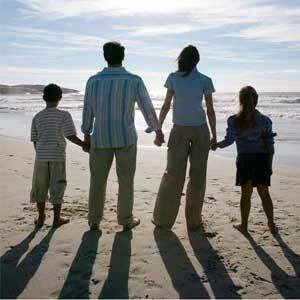 Involve your children early on in the decision making processes between you and your spouse. Explain to them why you can afford to buy things when you can and why you cannot when you can’t. Help them understand what priorities are. Include them in conversation as you talk about your workday. It’s ok for them to see you frustrated, they are future jugglers in the making. Allow them to see where you make mistakes and how you fix them so they can learn. I am not telling you to start asking your children for their opinion. Just simply involve them in simple decision making conversations and discussions, so they understand why only one parent can attend their school functions at a time. Kids need to know where you’re coming from rather than jumping to the wrong conclusions. When my parents made the decision for my Mom to go back to work, I remember being hurt when they finally chose to announce this to me the day before she started her job. I had no idea how she found the job, what exactly she would be doing and why. Again, by simply keeping your children involved, they can be prepared for changes. When my husband decided to work two full-time jobs for a short time in order to move his career forward, it was difficult for us to find time to spend with him, but because of the good communication we established, our kids understood and it wasn’t open for misinterpretation. We did things together with him with him in mind and worked our schedules around his so we could share our time together. Some of this might seem unorthodox, a few dinners after 8:00 PM, a few weeknights where the kids were allowed to stay up late to spend time with Dad, but we also made sacrifices, like not participating in a dozen school activities at one time or not taking family vacations. We would hang out in the parking lot at his work so he could see us on a break. One of the biggest benefits of having a career for me, is that I have been able to teach my daughters that I am my own person and I can take care of myself. Another important thing for my son to see is his father involved in the daily maintenance of the house. He knows that it is not just the women who can keep a house running. Our children have a great sense of what kind of work it takes to in order to afford things and how hard you have to work to get those things. When the kids ask us questions about our jobs we answer them with honest answers. How do you keep sane while juggling? Part of keeping your sanity is making sure you’re still the person you want to be. If you want to be physically fit, then you should exercise whenever you can fit it in by choosing exercise you enjoy, rather than forcing yourself to do so because you feel you have to. Invite your spouse and or children to join you as well. Regardless of whatever it is you do, do it because you enjoy it and it makes YOU happy. Your kids will remember you doing what you loved and cherish what you’re teaching them along the way. When you talk to people who are expert jugglers they will tell you the pros and the cons of juggling. Most will admit that the biggest struggles are emotionally based. You will feel guilty for not being able to spend as much time as you would like to with your spouse and children. My husband and I often joke that when we are ready to retire and our kids are off in the world performing their own juggling acts, we will have plenty of things left to say to each other, making up for lost time. We look forward to this. It’s fun making future plans. We plan on never being that couple at the restaurant, sitting across from one another with nothing to say. Children of working parents will learn self-reliance, discipline, will often be better students and are better abled to resist peer pressure. You are the one giving them the tools to do these things as long as you set good examples and raise the bar. When you do spend time with your children, make it quality time. Do not ask them questions and then talk over them or walk away while they’re responding to you. Make a point to touch base with each of your kids individually. Do something special with each child at least once a week with no interruptions. Read them bedtime stories, and most importantly, laugh with them. When you have less moments to spend with your kids and your spouse you have to be in control of your emotions. It’s so easy to want to explode when get home from a stressful day at work and a glass of milk spills on your clean floor. Refrain from these outbursts of emotion. When you have less time to make memories with your loved ones, you have to make them great. Your kids may forget the times you got mad at them and lost control, but I will guarantee that you will not forget those moments only to remember them regretfully. At least you have a start on becoming an expert juggler. No one starts out an expert at anything. It takes time, practice, practice, practice, and then some trial and error.